Born: 29 July 1854, Billericay, Essex, England. Died: 30 January 1941, Ross-on-Wye, Herefordshire, England. Henry Selby Hele Shaw (later Hele-Shaw), mechanical and automobile engineer, was the son of Henry Shaw, a solicitor, and his wife Marion Hele. In 1871 he started a four year apprenticeship at the Mardyke Engineering Works in Bristol. After completing the apprenticeship he was employed by the engineering firm G.K. Stothart and Co. in Bristol, but continued his education by attending night classes. In 1877 he won the Senior Whitworth Scholarship, which enabled him to study engineering at Bristol University College. Several further scholarships allowed him to continue his studies. In 1880, the year in which he graduated, he won the Miller Scholarship of the Institution of Civil Engineers for his paper on "Small motive power". By that time he was already a member of the Institution of Mechanical Engineers. On completing his studies he became lecturer in mathematics and engineering at the same college, and in 1881 was appointed the first professor of engineering in Bristol. Four years later he was appointed as the first professor of engineering at the University College in Liverpool, where he established and developed the Walker Engineering Laboratories and one of the largest and best known engineering schools in the world. He was an active researcher and inventor who published some 60 papers during the next 20 years. In 1881 he and J.M. Wilson designed instruments for measuring and recording wind velocities. In 1885 his paper on "Mechanical integrators, including the various forms of planimeters", earned him the Watt Gold Medal of the Institution of Civil Engineers. This was followed by a paper on "A new sphere planimeter" in the Report of the British Association... (1888). Other research topics included calculating machines, the testing of steam engines, the strength of chains, and graphical methods. His experiments on the streamline flow of liquids at Liverpool, published as "The motion of a perfect liquid" (Nature, 1899), led to his election in 1899 as a Fellow of the Royal Society of London. He played an active role in the development and promotion of motor transport by organising trials for commercial motor vehicles in 1897, and published papers on road locomotion. In 1903 he patented the Hele-Shaw friction clutch, which was at one time fitted to most motor vehicles. In April 1890 he married Ella M. Rathbone, with whom he had a son and a daughter. In 1903 Hele-Shaw was asked by the British government to take charge of technical education in the Transvaal and seconded temporarily as senior professor of mechanical and electrical engineering to the Transvaal Technical Institute in Johannesburg. The institute was formally established in August 1903 to take over the functions of the South African School of Mines, which had provided theoretical and practical training at the South African College, Cape Town, and at Kimberley before the Anglo-Boer War (1899-1902). Hele-Shaw arrived in January 1904 and within a matter of weeks made detailed proposals to council on every aspect of the institute's functioning, including its organisation, courses to be offered, syllabuses to be followed, regulations, provision for evening classes, staff and equipment required, and accommodation. Classes started on 7 March 1904. The teaching staff, in addition to Hele-Shaw, consisted of five assistant professors: John Orr* (electrical and mechanical engineering), Joseph H. Dobson* (mathematics and electrotechnics), Robert B. Young* (geology), T. Ernest Robertson* (mining and metallurgy), and James A. Wilkinson* (chemistry and physics). Initially it had been intended that only those third and fourth year mining courses previously offered in Kimberley should be taught; however, Hele-Shaw convinced council that the institute should offer its own first and second year courses as well. He believed that it should be developed into an independent teaching university and expressed this view in his address (published as a pamphlet in Cape Town) at the degree ceremony of the University of the Cape of Good Hope on 27 February 1904. A few months later, on 10 June, he addressed the Philosophical Society of the Orange River Colony in Bloemfontein on "The development of aerial navigation", dealing mainly with the history of ballooning but including diagrams and descriptions of aeroplanes. Hele-Shaw left Johannesburg for England in August 1904. While in Cape Town he addressed the Cape Society of Civil Engineers on 14 September on "Road locomotion". Back in England he resigned his post at Liverpool to become principal of the Transvaal Technical institute for a contract period of one year. When he left in December 1905 the institute was well established. It offered a complete three year course in general engineering, followed by a fourth year of specialisation in mining, mechanical, electrical or civil engineering. The course led to a diploma; students who wanted a degree had to write the examinations of the University of the Cape of Good Hope. Meanwhile, following the joint meeting of the British and South African Associations for the Advancement of Science in 1905, he served as editor of a volume Contributions to education in South Africa: Addresses delivered and papers read before the Education Section of the British Association at the meeting held in Johannesburg, August 28th to September 1st, 1905. He had been a member of the British Association since 1881. During his brief stay in South Africa he was elected an honorary member of the Chemical, Metallurgical and Mining Society of South Africa. He also served on a provisional council formed to adapt the constitution of the South African Philosophical Society to the provisions of a draft Royal Charter, along the lines of the Royal Society of London. The council's proposals were accepted and a Royal Charter granted in January 1908 by King Edward VII of Great Britain, thus creating the Royal Society of South Africa. After his return to England Hele-Shaw became a consulting engineer. He was a foundation member of the Royal Automobile Club, served on the council of the Institution of Automobile Engineers and was elected its president in 1909. He also invented a stream line filter, an hydraulic transmission gear, an hydraulic steering gear for ships, several pumps and hydraulic motors and, with T.E. Beacham, was jointly responsible for developing the first practical automatic variable-pitch air-screw. He presented numerous papers and played an active role in various scientific and professional societies, particularly the Institution of Mechanical Engineers, of which he became president in 1922. 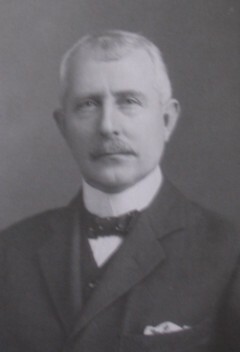 He played an active role in the introduction of the National Certificate Scheme for the training of British Engineers from 1920 onwards, and was chairman of the Joint Committee appointed by the Institute of Mechanical Engineers and the Board of Education to administer the scheme from 1920 to 1937. Honorary degrees were conferred upon him by the Universities of St Andrews (1897), Bristol (1912), and Liverpool (1931). He was a keen sportsman, a lively conversationalist, and an excellent speaker. Cape Society of Civil Engineers. Minutes of Proceedings, 1904, Vol. 2. Carruthers, J. Henry Selby Hele-Shaw, LLD, DSc, EngD, FRS, WhSch (1854-1941): Engineer, inventor and educationist. South African Journal of Science, 2010, Vol. 106(1/2), pp. 34-39. Hall, A.V. A history of the Royal Society of South Africa. In A.C. Brown (ed. ), A history of scientific endeavour in South Africa (pp. 474-487). Cape Town: Royal Society of South Africa, 1977. Murray, B.K. Wits; the early years... 1896-1939. Johannesburg: Witwatersrand University Press, 1982. Philosophical Society of the Orange River Colony. Transactions, 1904-1907, Vol. 1, pp. 28-29: Abstract of Hele-Shaw's paper.